Now I have limited myself to two collections. I live in a 1500 square foot house so I need to set limits! 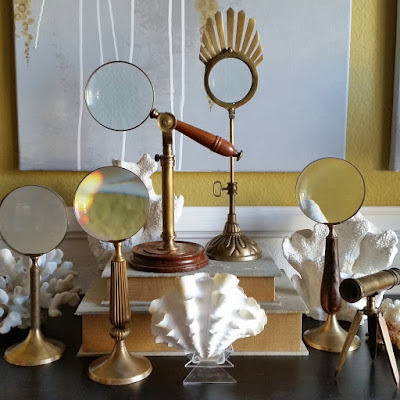 I have a magnifying glass collection that I am in love with. I also have a coral collection and I just can't get enough coral in my life. 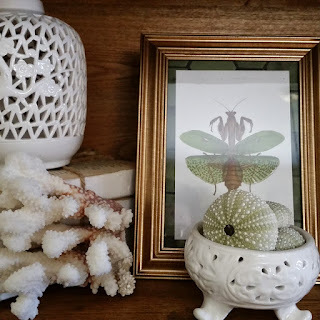 If you have a collection of items that you love, display them! Don't keep them in a box and throw them in the closet! Bring out your collections and display them with pride and intention. 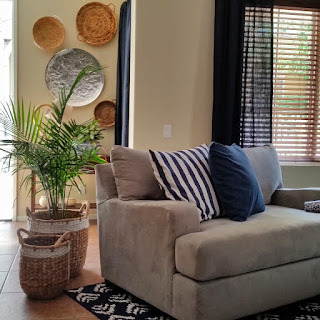 Photo, courtesy of Marynn at classicnestinteriors on Instagram. Collections look best when they are grouped together instead of spread out throughout your home. Look at the visual impact this collection of blue and white ceramics gives because they are grouped together. Even casually sitting on a table, this collection looks elegant and intentional. Or if your tables are already filled, then go to your walls! Check out this BEAUTIFUL gallery wall that hosts a collection of vintage oil paintings of mountain landscapes. How nice must it be to see such a beautiful collection before going to sleep? And remember what I said about IMPACT?! I mean, wow! 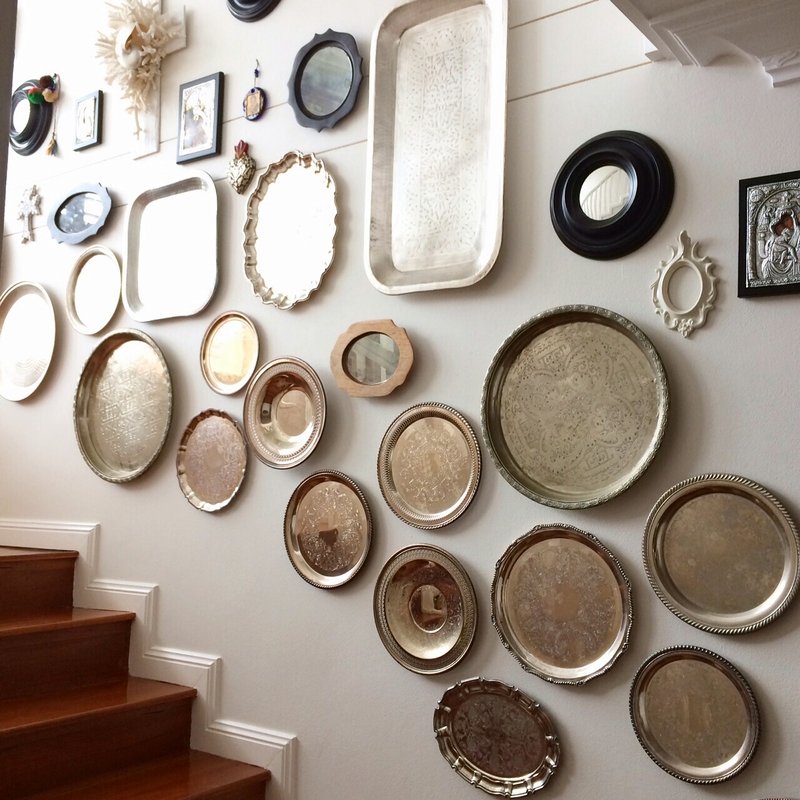 This collection of trays look amazing adorning this wall going up the staircase. The reflective materials and the light colored walls keep this collection looking bright and clean. The same effect may be achieved using mirrors. Here's another example of a collection displayed on a wall. Here I used a mix of baskets and trays for an eclectic feel. Oh, and I KNOW there's a lot of shell collectors out there! 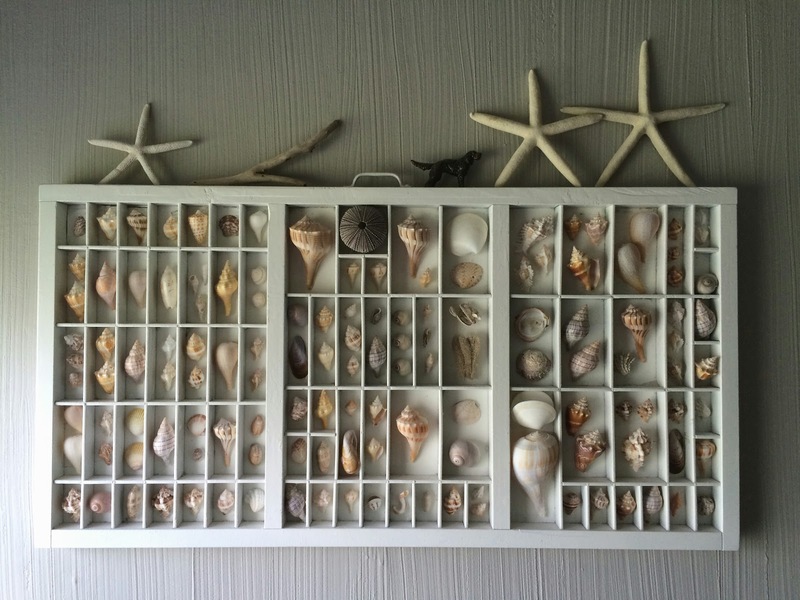 This beautiful display looks amazing because the shells are all similar in color. What a great idea, right! 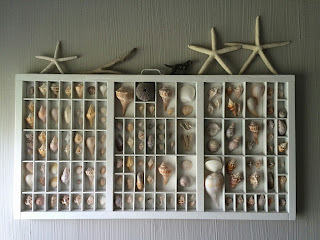 Here I displayed my coral collection inside this lawyer's bookcase. I love the look of any kind of collection behind glass. It immediately looks more important. 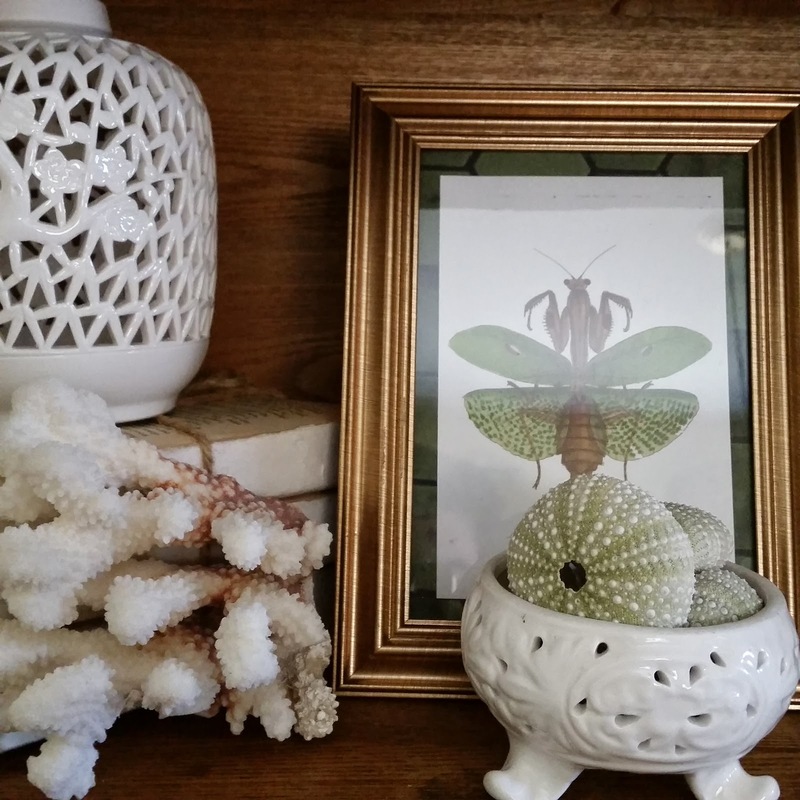 I styled my coral and books symmetrically so that it looks balanced. Notice that I have the picture frames and book running through the middle and I put the largest pieces of coral on the bottom shelf so my display doesnt look top-heavy. 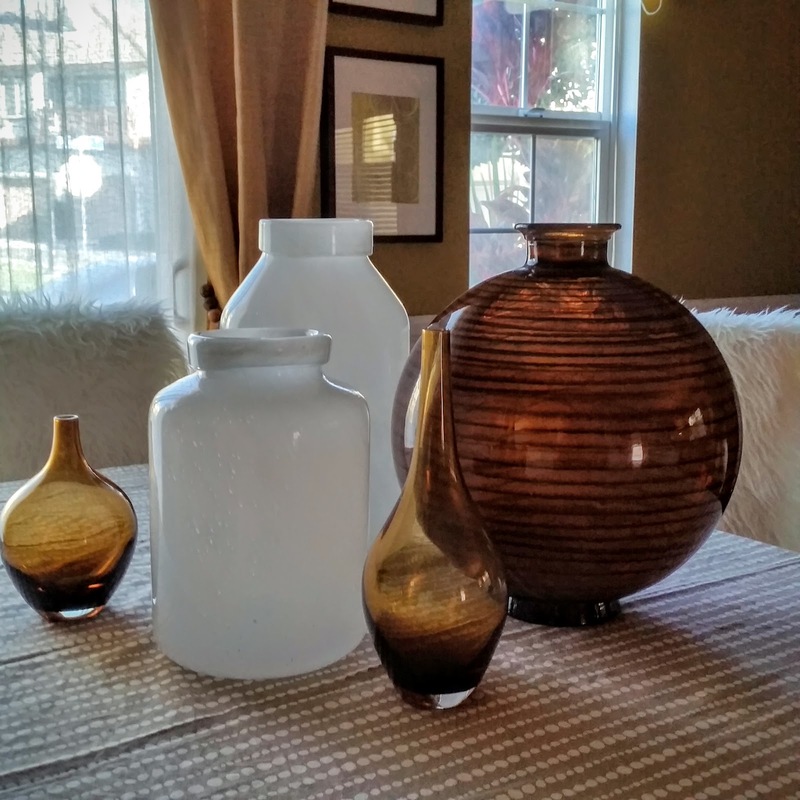 A collection can be any object that you have three or more of. Displaying them as a group makes more sense than to have each item spread out around your home. Putting your collected objects together on a shelf, or on a table allows you to appreciate them together as a collection instead of each object alone. I love how these cool mid-century vases look on this mantel with the modern art in the background. Such a stylish display. So go out there and start your collection! What are the things you love? Find out and surround yourself with them. Display them so that you may enjoy them daily. 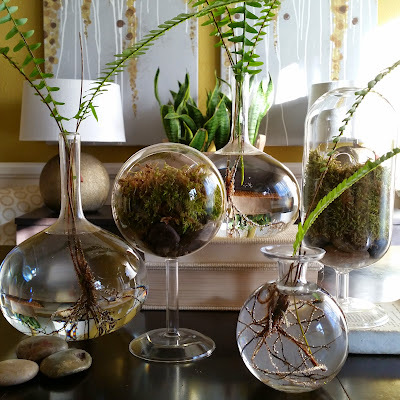 Put thought into your displays and see how your guests get intrigued by them the same way you do! I hope you emjoyed these collections I shared with you. Be sure to check out the collectors behind these pictures. I'm sure you will enjoy their Instagram feeds as much as I do. A special thanks to Doug, Tasia, Meghan, Yvonne and Marynn for allowing me to share their beautiful pictures. Take Care, & thank you for reading. 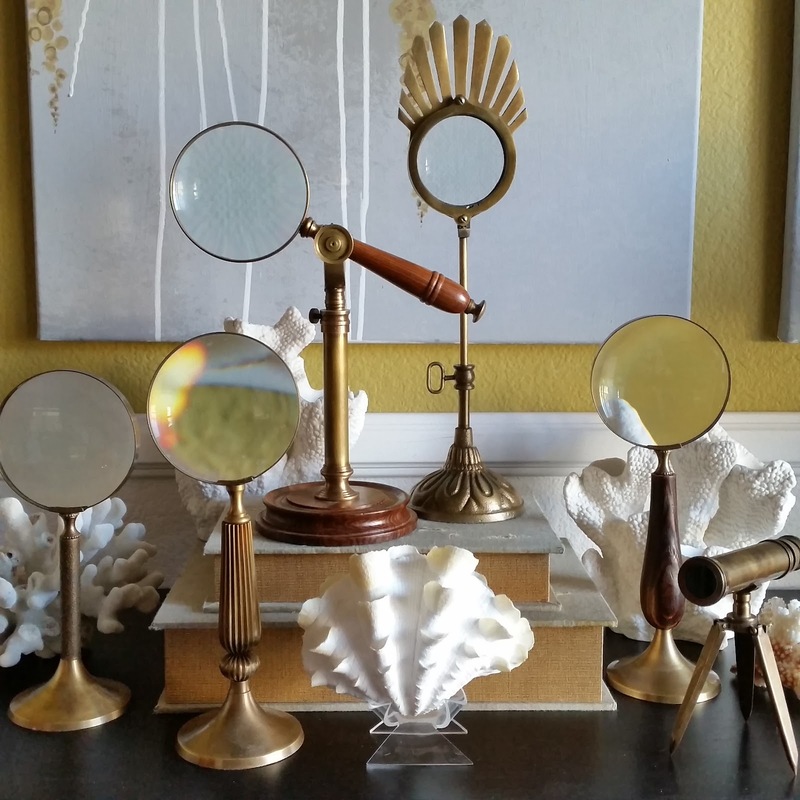 Love your magnifying glass collection!